This is a completely natural product, remove dirts from the skin and provides best results. 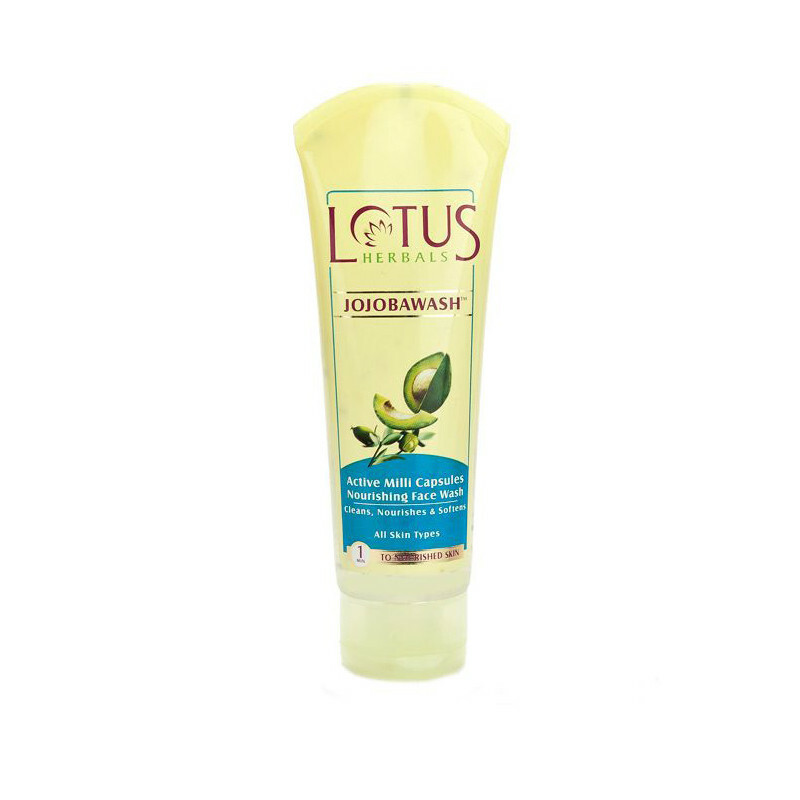 cleanse and nourish your skin properly, Lotus Herbals Jojobawash Active Milli Capsules Nourishing Face Wash is a herbal product for all skin types. It contains natural ingredients such as Vitamin-E, Avocado and Jojoba extracts. This face wash moisturises and nourishes the skin from deep inside, and makes it brighter and healthy. This is a unique formula to balance the pH level in the skin and makes it oil-free.This face wash helps to avoid the water loss in the skin and retains its moisture. It does not contain harsh chemicals and ingredients that cause any bad effects on the skin. This face wash makes the skin clean and clear and imparts a natural glow to my skin. I would recommend to buy this. You'll never regret buying this product. Worth the money. This face wash totally softens your skin and leave a good soothing feeling. This is one of my favorite face wash till now.